This is perhaps the most important chapter in Leviticus. It is the most solemn day of the year in the Jewish calendar. It is the only day mandated by Jewish law to fast. The Day of Atonement or Yom Kippur is the “reset button” for the Jewish liturgical year. Yom Kippur is the day to remove and destroy impurity for the nation for the year. It is the reset button to get the Israelites back to square one in terms of ritual purity. This is the day to restore everyone and everything (people, priests and Tabernacle) to the original sanctification. It is the day when Yahweh allows the Israelites to, in effect, start over again. This is the New Testament equivalent to the sacraments of Baptism and Reconciliation. Once the Tabernacle was replaced by the Temple, and then later, the Temple was destroyed in 70 AD, Yom Kippur morphed from ritual purification to the atonement of sins of the people. Yom Kippur became became associated with the forgiveness of sins rather than ritual purifications. This is the only day of the year when someone could enter the Holy of Holies in the Tabernacle. In this case, is was the High Priest who could enter the Holy of Holies. The blood of the sacrifice was applied to the people just as in the Theophany from Mt. Sinai (Ex. 19) to re-enact the Sinai Covenant (Ex. 24). Yom Kippur was the yearly renewal of the Sinai Covenant. The blood was applied to the people and sprinkled on the Mercy Seat of the Ark of the Covenant. On Yom Kippur, Yahweh would “ra’ah” or appear in a cloud over the Mercy Seat. Other instances of this Hebrew word (Gen. 12:7; 17:1; 18:1; etc.) that God would appear in human form on the Mercy Seat; that is, the High Priest Aaron would see God in human form echoing each year the face to face meeting on Mt. Sinai in the Theophany. On Yom Kippur, two goats were chosen: one would be sacrificed, and one would be sent off into the wilderness bearing the sins of the nation, this is the Azazel goat. The Azazel goat is where the notion of a “scapegoat” comes from, ie, the goat that bears the sins of someone else. The first goat is a sin offering for the Lord and is slain. The second goat, the Azazel goat, is an expiation, a purging of the impurities, or later, the sins, of the nation of Israel. The High Priest, the representative of the nation, laid his hands on the goat, a symbolic transfer of impurities and guilt, and then, the Azazel goat was sent off into the wilderness, presumably to its death. The wilderness and the desert were the place of the demonic, wildness chaos, sin and death. It was the opposite of the Tabernacle, God’s place, the new Eden. Everything outside the Tabernacle was wilderness, desert, chaos, sin, and death. [When Jesus is about to begin His ministry, He immediately heads out into the desert for 40 days and 40 nights to be tempted by the devil.] Here, the Azazel goat is banished into the desert to take away Israel’s impurities and sins from the camp of Yahweh and the nation. The Azazel goat removes impurities out of the sacred space of the Temple into the place it belongs, the demonic geography of the wilderness. The goat is the vehicle for the removal of those impurities. As a matter of note, the term Azazel appears also in the Dead Sea Scrolls (4Q180), where Azazel is a demon; in fact, the leader of the fallen angels that sinned in Genesis 6:1-4 and 1 Enoch. Thus, once a year, the High Priest would lay hands on the Azazel goat, and confess all the sins of the nation of Israel, symbolically transferring the sins of the nation to the Azazel goat. The Azazel goat would then bear the sins (impurities) of Israel away from Yahweh’s sacred space of Israel and the Tabernacle, off into the godforsaken land of the desert wilderness. The wilderness imagery is one of supernatural evil, non-holy ground; non-sacred space outside the Tabernacle. It was a place spiritually sinister with forces of chaos and death, where the pagans offered sacrifice to goat-demons. The Azazel goat would possibly be driven off a cliff too, in effect, the impurities and sins of the nation would never make it back. The first sacrificed goat would in the New Testament make Christians fit for God’s presence. The second goat, the Azazel goat, would remove sins from Christians. In the New Testament, Christ fulfills the type of each goat. Christ makes us fit to be in God’s presence, and removes sins from our lives. Christ is the goat sacrificed for our sins on the Cross. He is also the goat where our sins are laid upon His body and He bears them away from us. Christ becomes sin for us, by bearing our sins. Azazel is the ultimate embodiment of evil, as the leader of the fallen angels/demons, who led the world astray. This is reminiscent of Christ being foreshadowed by the bronze serpent raised upon the pole. The serpent (as the serpent from the Garden of Eden, who led mankind astray into Original Sin) was raised upon the pole, and all who looked upon it were healed. Similarly, the demonic Azazel goat has the sins of the nation cast upon it. It is Christ, who takes on sin for our sake, who is sacrificed and carried sin away from us. This is the “suffering servant” of Isaiah, who is pierced for our offenses, crushed for our sins, and by His “stripes” we are made whole. Christ’s atoning death on the Cross is the ultimate fulfillment of the Day of Atonement. The goats of the Day of Atonement are just prefigurements of the real atoning death of the Messiah, the Son of God, to come. Jesus is the true, sacrificial atonement. Good Friday is the fulfillment of the Day of Atonement, which was just a prefigurement of the Cross. Jesus’ death on the Cross is the true “Reset Button” for all Christians and believers. We are made new creations in Christ and His Cross. 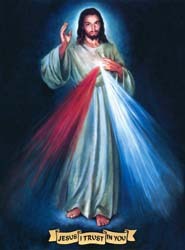 His sanctifying grace flowed forth as blood and water from His side, and perpetuated in perpetuity in through the Sacraments of the Catholic Church. This entry was posted in and tagged Ark of the Covenant, atonement, Azazel, Azazel goat, Cross, Dead Sea Scrolls, desert, forgiveness, Mercy Seat, Reset Button, The Day of Atonement, Theophany, Throne Room, two goats, wilderness, Yom Kippur on August 29, 2018 by Brian. Saint John tells us in the Book of Revelation “when the Lamb opened the seventh seal, there was silence in heaven for about half an hour.” (Rev. 8:1) The silence of heaven rests above the great din of the world. Before the immensity of the Infinite, there are no words, only wonder, adoration, and silence. We have a foretaste of this eternal silence in the Divine Liturgy, which is the liturgy of the Church. Rivers of living water and sanctifying grace flow not only about the heavenly Throne, but also into the sacramental confines of hearts and flesh. Yet, as Cardinal Sarah says in his book The Power of Silence, if we, who are made in the image of God, are to approach him, “the great Silent One,” we must first quiet ourselves and enter into his silence. But, the world today is raging against the silence of eternity. “Modern society,” Cardinal Sarah tells us, “can no longer do without the dictatorship of noise.” Postmodern man engages with hellish noise in “an ongoing offense and aggression against the divine silence.” Humanity has lost its sense of sin, and no longer tolerates the silence of God. He poignantly describes the current sad state of man: “He gets drunk on all sorts of noises so as to forget who he is. Postmodern man seeks to anesthetize his own atheism.” Even within the Church there is a noisy undercurrent of idolatrous activism. In this wonderfully written book with so many striking passages, the African Cardinal seeks to re-proselytize the increasingly secularized and debased West; the new evangelization rises from south to north. Why silence? Silence is the chief means that enables a spirit of prayer. “Developing a taste for prayer,” he confides, “is probably the first and foremost battle of our age.” In modern techno-parlance, if our “interior cell phone” is always busy, how can God “call us”? Without silence, there is no prayer; and without prayer, there is no supernatural life in God. Silence is not necessarily not speaking, but rather, it is an interior condition of the soul. “God is a reality,” he tells us, “that is profoundly interior to man.” God resides within the heart of man. The path to God is a path of interiority. At the Carthusian monastery of La Grande Chartreux in the French Alps, where they observe the vow of silence, interiority is a way of life. But, as wonderful and as holy as an exterior vow of silence is, it is not really an option for most people. Most lay people live amidst of the noise of the world. Cardinal Sarah understands this, and recommends a solution: “each person ought to create and build for himself an interior cloister, a ‘wall and bulwark’, a private desert, so as to meet God there in solitude and silence.” Man must learn to live in an interior silence, ‘an interior cloister,’ which we can bring with us wherever we go. This silent interiority lends itself to a sacramental vision of the world. The silent and invisible Spirit of God dwells within the physicality of our bodies. We are a temple of God. Cardinal Sarah tells us that God gave us three mysteries to sanctify and grow our interior life with Jesus, namely: the Cross, the Host, and the Virgin. We are to contemplate these continually in silence. They are incarnational and sacramental by nature, where the heavenly is mingled with the mundane, and the divine lies hidden within the ordinary. So it is with our interior cloister, where the divine comes to rest silently in our human nature. In this sacramental vision of reality we participate directly in the mystery of God and impart it to the world. Our primary focus should always return to the silence of Jesus. The divine silence entered the world as the “all-powerful word leaped from heaven”(Wis. 18:14-16) to be conceived and born of a woman, the Virgin. Mary is nearly silent in scripture, though she echoes over the ages “Do whatever he tells you.” Few words are recorded from the Holy Family, including not one word from St. Joseph, his silence reflecting his saintliness. Divine silence and humility came first as a baby in Bethlehem. Cardinal Sarah reminds us of this first scandal, “God hid himself behind the face of a little infant.” No stage of human life is deemed unworthy of Christ. Then, for thirty years Jesus lived a hidden and silent life in Nazareth. So much so that his neighbors question at the beginning of his public ministry “where did this man get all this?” His divinity was veiled in everyday life, even though his mission of redemption had already begun from the ordinary woodworking in the carpenter’s shop to the mundane sweeping of its floors. Our interior silence is of upmost importance because it allows us to imitate the Son of God’s thirty years of silence in Nazareth. Jesus recapitulated within his “holy and sanctifying humanity” all the ordinariness of our human natures and vocations. By doing so, “the hidden life at Nazareth allows everyone to enter into fellowship with Jesus by the most ordinary events of daily life.” (CCC 533) Our interior cloister should be animated with the knowledge that, no matter where we are or what we are doing, Christ is there with us in the silence of Nazareth. In the Cross, Cardinal Sarah reminds us that “the mystery of evil, the mystery of suffering, and the mystery of silence are intimately connected.” This trinity of mysteries is summed up in Jesus’ cry from the Cross quoting Psalm 22, “My God, my God why hast thou forsaken me?” Modern man likes to see the silence of God in the face of horrible, tragic events as proof of his non-existence: “if evil and suffering exist, there can be no God.” Yet, as Cardinal Sarah points out, the infinite and absolute love of God does not impose itself on anyone: “his respect and his tact disconcert us. Precisely because he is present everywhere, he hides himself all the more carefully so as not to impose himself.” In creating man and the world, God had to, in effect, “withdrawal into himself so that man can exist.” In allowing for human freedom and freewill, God would necessarily appear silent. Man’s freedom, and ultimately sin, would leave God disappointed in man, and make God himself vulnerable to suffering, as a Father suffers for his child. The suffering of man leads to the suffering of God. God is with us in our suffering. The mystery of suffering and God’s silence will never be fully understood in this life, but must be viewed from the lens of eternity. God’s time is not like our own where “a thousand years are like one day.” Our brief sufferings on earth disappear forever like drops of water into the immense ocean of eternity. Even now, the person who prays often can “grasp the silent signs of affection that God sends him” as noticeable only by those who are lovers. Jesus has revealed, however, that bearing our crosses and silent sufferings can be redemptive and sanctifying. We can complete what is “lacking in Christ’s afflictions” for the sake of the Church. Our interior cloister should be united with the redemptive sufferings of Christ in his Passion and Crucifixion. Silence is needed most urgently now, even for those in the Church who would subsume social activism ahead of the worship of God. Cardinal Sarah proposes “a spiritual pedagogy” as illustrated by Mary and Martha in the gospel. Jesus does not rebuke Martha for being busy in the kitchen, but rather for “her inattentive interior attitude” towards Christ, as shown in her complaint about the “silence” of Mary. Mary remained at the feet of Jesus in silent contemplation and adoration. Cardinal Sarah warns, “All activity must be preceded by an intense life of prayer, contemplation, seeking and listening to God’s will.” We should be Mary before becoming Martha. Man can encounter God only in interior silence. The active life must be harmonized with the contemplative life. Silence must precede activity. Silence is a form of resistance to the noise of the world. There is a danger today of being lost in “unbridled activism,” where our interior attitudes are diverted from Jesus towards social justice and politics. In the field hospital of the Church, the social aspect does have its place, but as Cardinal Sarah says, “the salvation of souls is more important than any other work.” This vital effort entails evangelization, prayer, faith, repentance, mortification and embracing the sacramental life, in short, living a liturgical existence. Before venturing out into the noise of the world, Cardinal Sarah’s The Power of Silence encourages us to remain firmly grounded in our interior cloister, adoring God in silence. This entry was posted in Cardinal Sarah and tagged Cardinal Sarah, Cross, Divine Liturgy, Eucharist, interior cloister, interiority, liturgy, Nazareth, Revelation, Sacramental life, silence, social activism, suffering, the Host, the silence of God, Virgin on September 11, 2017 by Brian. Do our faces reflect the divine signature of Christ? Genesis declares that man is “made in the image of God.” Humanity is set apart from the rest of creation with an eternal soul capable of reason, will, and self-giving love; that is, God created man with divine attributes. These preternatural gifts bestow on us a rational and spiritual nature, elevating us above our mere physical natures. Man is separated from animal, person from non-person, primarily by our rational souls. Yet, as Christians, we do not believe that we are just spiritual beings. We are more than just incarnate spirits confined to a body and then freed upon death. This is an ancient gnostic heresy, a Manichean dualism, unfortunately still prevalent today. Rather, our true human nature is a composite nature of spirit and body. The Catechism calls the flesh of the body the “hinge of salvation.” In the beginning, God created the flesh of the body; in marriage, man and woman become one flesh; in the Incarnation, the Word became flesh; in the Eucharist, Jesus gives us His flesh; and in the resurrection, the flesh is raised glorified and incorruptible. (CCC 1015) Christ, the Bible, and the Church are all in agreement: The body is good. There is a sacramentality to the body. The body is the sacrament of the human person. It is a sign and symbol, making visible a hidden reality. Pope John Paul plumbed the depths of this mystery in his “Theology of the Body” series, referring to the body, “It was created to transfer into the visible reality of the world the mystery hidden from eternity in God, and thus to be its sign.” The body is a sign of divine mystery. Pope John Paul also stated “the face reveals the person.” It is the gateway to the soul. All of our senses are found in our face: our eyes, our ears, our nose, our mouth. They are the means by which the material world is translated by our human bodies to the spiritual world of our mind and soul. The face is the mediator between material and divine. According to our Christian faith, the whole economy of salvation rests upon the bodily crucifixion of Jesus Christ. For, through the wounds of Christ we are healed, and through His death and resurrection we are saved. We can speculate, in conjunction with this definitive event in human history, did God mark our faces with Christ’s redemptive act? Imagine, for a moment, Jesus’ Cross transposed on our faces. Our two eyes seem to correspond to the nail wounds of Christ’s two outstretched hands on the horizontal beam; our nose, the vertical beam of the Cross; our nostrils, the piercing of Christ’s side; our mouths, the nail wounds of both feet, placed one atop the other. Of all the shapes our faces could have taken, they assumed the perfect symmetry of a cross. The human face is clearly arranged in a “T” shape of two perpendicular lines. It is like a symbolical seal of Christ and His wounds. In contemplating the face as a sign, all that we perceive, and all that we know of the world, is through our senses: In effect, analogously through Jesus’ hand wounds, we have eyes and sight; through the piercing of Jesus’ side, we can breathe and smell; and through the wounds to Jesus’ feet, we can taste, drink, breathe, and speak. His suffering was our grace. The face is not just the means of our perception, but also brings in life. The nose intakes air, and breaths oxygen into our lungs and blood. The mouth too provides sustenance through breathing, and nourishment through eating and drinking. Moreover, the face also conveys outwardly our divine faculties. We express emotions, words, language, singing, love, and worship all through our face. It reveals our rational and conscious nature. The face is the icon of the person. This is God’s primordial claim upon us, through the imprint of Christ on the flesh of our face. The personal “I” of each one of us is made present to the world by the portal of our face. We can almost broaden Isaiah’s suffering servant prophecy that “with His stripes we are healed” (spiritually), and extend it, metaphorically, to the body: So that, through His wounds, we have our senses, life, and access to the whole universe around us. There are hints in scripture to the supernatural significance of the face. St. Paul calls Christ the “head of the body.” Would it not be fitting that our heads should bear the stamp of our Savior? When God spoke with Moses on Mt. Sinai, Yahweh hid His face from him saying, “you cannot see My face; for man shall not see Me and live.” When Moses returned to the Israelites, they were afraid to come near him because “the skin of his face shone.” Moses then put a veil over his face, which St. Paul later interpreted to mean they failed to recognize Christ; In effect, the unveiling of the face is related to recognizing Christ. Just before His Passion, Jesus did unveil His divinity on Mt. Tabor in His Transfiguration when “His face shone like the sun,” giving us a brief glimpse to the glory of the face of God. This entry was posted in Theology of the Body and tagged beatific vision, Cross, face, face to face, icon of the person, Jesus, meditation, Theology of the Body, Theology of the Face on February 22, 2017 by Brian.